From the outlet of Lake Kyoga, the Lower Victoria Nile flows north and west, passing through a series of rapids and dropping 415 m along its course toward Lake Albert. The average annual basin rainfall is nearly 1,300 mm and the average annual potential evapotranspiration is 1,544 mm. 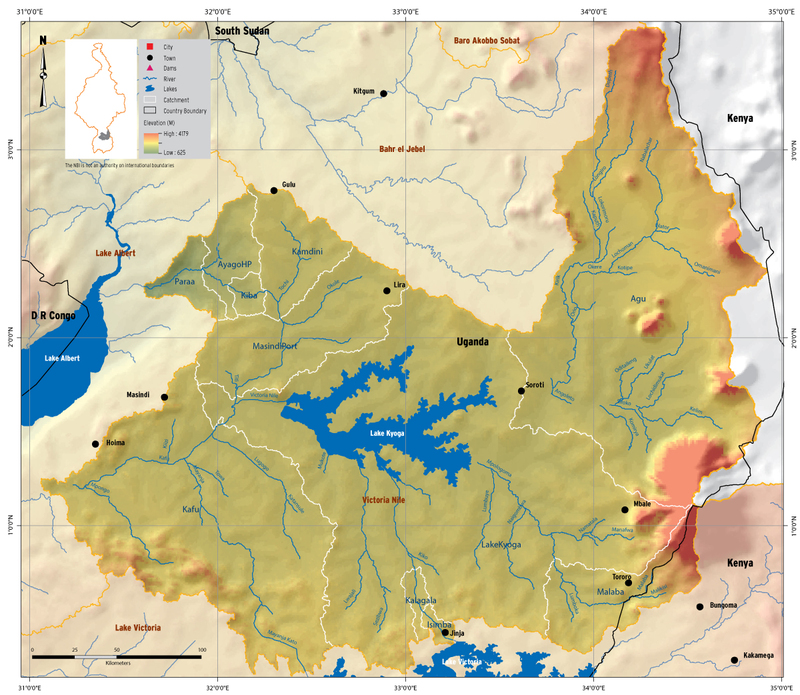 The net water contribution of Lake Kyoga to Victoria Nile flows has historically been very low and often negative due to evaporative losses over the lake and wetlands (Sutcliffe and Parks 1999; Shahin 1985).